» Posts Tagged "kids football"
Pic - Forest fans remember a manager from the good old days with their green jerseys. I guess like most of you, I grew up loving football. Playing on my mates lawn, 3 or 4 a side down to 1 a side if no one else was around. Watching the FA Cup build up with aerial shots of the team coaches and features on the awesome flared suits. Going to WHL for the first time. Playing three times a week as a young man. Doing my C and B license courses (final assessments pending 10 years later), coaching school and county development centres. Jumpers for goalposts etc etc. I have always, well most of the time loved football. I miss playing every single day since my knees gave out. But I hate what is happening to the game to be honest. The professional game is full of diving wankers who roll around on the floor every time anyone touches them in a way which my under twelve girls would find laughable if someone did it in their games. Players, managers and fans berating refs for every error, hurling vile abuse in their faces. Players conducting themselves like utter c***s, on and off the field. As Strachan said during the World Cup, when Suarez returned after his ban, he would have received a standing ovation from the Kop, and no other team would have been any different in all honesty. The big teams seem to treat the fans with utter contempt, raking in every penny. 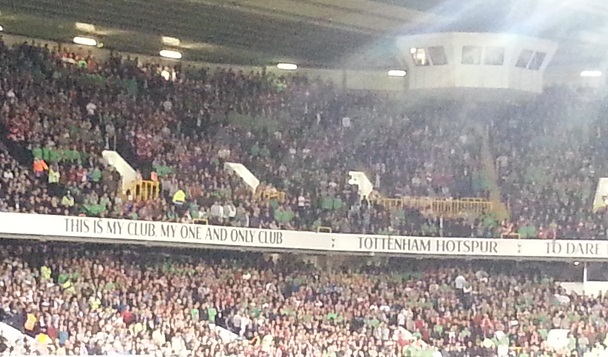 Ticket/ST prices in poor areas such as Tottenham are absurd In my opinon. And even the kids game is ruined by dads and even sometimes mums, vicariously trying to achieve footballing greatness/stupid levels of wealth, through little Jimmy’s meteoric rise to global stardom. Shouting their heads off on the touch line, generally incomprehensible nonsense which only serves to confuse and rile up the little fellow. The parents, and the kid, get all excited when a scout from whatever club comes knocking, then the spend the next couple of years where their family life is dominated by endless trips down the A55 to training 2 or 3 times a week and then, out of a group of 30 or more kids in that age group, maybe 2 or 3 might be kept on as under16s and then in all likelihood they will also be tossed back into the water. Over the 20 years I’ve been coaching I’ve probably had 30 or 40 kids been picked up by teams and not one has gone on to a full time contract. And then for me there’s the attitude of fans and teams to our Cup competitions these days. As I said already, the FA Cup was one of the absolute favourite events of the year when I was a kid. The UEFA Cup was a massive deal and, as a Spurs fan particularly, they are a big part of our history but most Spurs fans aren’t that bothered, like any other club. And why? In all honesty it’s money. CL qualification is everything. Because unless you have some Russian oligarch or Arab Sheik or whatever to buy you titles you’ve got naff all chance without regular CL football money. I’ll probably just be embarrassed tomorrow for ranting, as I am a bit drunk, but I miss football how it used to be. It’s such a great game and is being ruined by greed and money. Worst thing is, if Spurs and/or England actually start winning stuff I’ll completely change my tune and love it again even though nothing fundamental will have changed.